Tradition comes from the Latin word, tradere, meaning to transmit, to hand over, or to give over for safekeeping. One definition calls it the passing on of customs and beliefs from generation to generation. Someone said that parents should give their children roots and wings. Traditions live in the roots. They are made up of memories of sights and sounds, of tastes and smells, bound together by love. Ella and Grey, our twin grandchildren, have recently been exploring their roots, doing a project for school on their family. One part required an interview with “Boppa and Nana” about our childhood, how it was the same or different from theirs. They needed the names of their family going back to our parents and the names of every place we had ever lived. Each of them is creating a personal scrapbook to which they can add school pictures, mementos from baseball and soccer, souvenirs from prom and college. One day, they can share it with their children and grandchildren. And there at the beginning will be their connection to Boppa and Nana. That means the world to me. Wednesday, Ella and I grew the roots a little deeper, baking pumpkin pies from my mother’s recipe. As we added the cinnamon and nutmeg, the ginger and cloves, I whispered in her ear that one day, when she baked it with her grandchild, I hoped she would remember me and how much I loved her. Thursday, Ella and Grey broke up the bread for Grammie’s stuffing just like their mother and uncle did when they were children, just like my sister and I did when we were kids. Ties to the past are roots that grow deep, like the hunger that builds while the turkey roasts and flavors the air. As a gardener, however, I know that not all roots have to be kept. Plants can get pot-bound, need new soil, or have to be transplanted to grow strong. Roots are intended to give nourishment and enable growth, but not to become so rigid they preclude wings. We all need to shape and reshape ourselves, to take from the past and carry on what keeps us grounded, but not earth-bound. That’s why each generation chooses which traditions to keep and adds some new ideas of their own. For this Thanksgiving, Grey, Ella and I made a pumpkin cheesecake and an Ina Garten apple pie. Then, as we ate Honey Crisp apple slices, we enjoyed the spicy scents of a new tradition coming from the oven. Christmas is less than four weeks away and will bring its own family traditions. Stockings will be hung at both of our children’s homes, like they were at our house. Trees will be decorated…..and a new tradition, Jack, the elf, will appear to keep watch for Santa and assure the kids are nice, instead of naughty, as they count down to Christmas. Each night he will move and the day will start with a look for where Jack is now. What a smart and fun replacement for the paper chains we had for our kids. At Chris’ house an angel looks down from on high. At Gretchen’s, a star shines from the treetop, lit in red like the one she grew up with, the one that originally topped my family’s tree. Recently, I learned of roots that link that star to a Polish tradition that sends the youngest child to watch for the first star in the sky on Christmas Eve which, when seen, begins the festivities. My grandparents in Poland must have watched for that star with such expectation. In my childhood, our star seemed wondrous and peaceful, as if it blessed us as I stared at it in fascination. 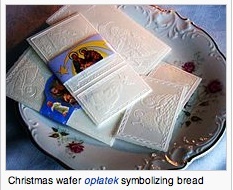 Gretchen is also renewing the tradition of oplatek wafers at Christmas Eve dinner. My mother always brought them to us from the Broadway Market and each family member would share theirs and take a piece from everyone else, creating a family communion. That Gretchen went on a search to find what our kids called “the paper” touches my heart and reminds me of how my mother loved this custom. Will Ella and Grey follow every tradition? Will Caroline and Catherine? Probably not, but I hope some roots will remain to keep them linked to me and Boppa, to Grammie and my family, to Nan and Grams, Doug’s paternal grandmother, who gave him his Christmas stocking. Whatever they choose from their roots and add to with their wings will be the past touching the future, wrapped carefully and kept stored for generations yet to come. I hope yours was a blessed Thanksgiving…and that in the weeks ahead during the advent season you are filled with warm memories of family celebrations, the smells of evergreen and Christmas cookies, and the sounds of carols and angels filling the night. This entry was posted in Writings by Wordsmiths and Others and tagged Broadway Market, Christmas, Christmas Tree, Family traditions, Finding roots, gifts from the past, Grandparent, Holiday traditions, how the past touches the future, Ina Garten, Lars Svendsen, Poland, Roots and Wings, Thanksgiving. Bookmark the permalink. Wow. Beautifully written. This prompts all sorts of memories of developing my roots, particularly the holiday traditions. Women seem to be more powerful in this role; I can see the difference in my brothers children from my sisters children. My brothers children follow the traditions of their maternal line while my sisters children are much more aligned with my family of origin traditions. Thanks, Carolyn. I think women often do take traditions to heart,and of course since more of us do the family cooking pass on the food traditions especially. Ella looks so much like Jay’s sister Dawn, but is so very like me in her interests and personality, so teaching her was very rewarding. Chris and his family definitely follow more of Jackie’s tradition (i.e. the angel) and the ones the two of them developed down here with their friends before we moved here, so Thanksgiving at Chris’ was a kind of open house for all his friends who didn’t go north for the holiday. When the twins were littler Gretchen thought it was fine to just join Chris, but now that they are older she wanted them to have their own memories and it has been so nice to see how many of our family traditions are important to her to pass on. I really loved our family tradition of saving some of our toys from Christmases past, to be put out under the tree before the new Christmas about to be celebrated. While we were on vacation from school, waiting for Christmas day, excited and impatient for Christmas to come, we spent hours playing with treasured toys. You were given a roller coaster, I, a small round metal train on a track, that went in circles. It looked like a hotdog. I spent a lot of time trying to figure out how to get that hotdog off the track, as a very young child, but the toy was built so sturdily, I never succeeded. And both of us had toy pianos. I can remember the special ornaments just like yesterday, including the star that transcended time at the top of the tree. Loving these things we saw only once per year led us into celebrating the eternal quality of Christmas. Reaching up to touch a hand blown class ornament that looked like a little house, is as vivid in my mind as though I just touched it for the first time as a very small child. From there I can expand out to memories of the smells, the sounds, the beauty and joy, and peace of Christmas in our house, our mom in the kitchen, cooking and singing along to Christmas carols. Christmas was heavenly. I think this is the spirit I hope to have imparted to my own children. The sacred ritual of decorating the tree, all done in the most particular order, each ornament carefully placed, yearly, is part of the spirit of the tradition I have attempted to pass on from our mom’s training. I believe this sense of the art of if all, and serious care taken, was something mom learned from her father who was the one to decorate the trees in their home. We were instilled with a sometimes annoying perfectionism from this training, but from it, comes greatness, too, in the other areas of our lives, I believe. Your analogy about roots and becoming pot bound is one I will long remember. 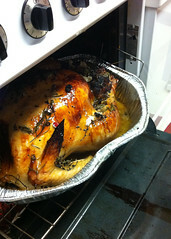 This Thanksgiving it was only the 6 of us at my son’s for dinner. Dom said to my daughter in law who did all the cooking, we should have went out to dinner because this is so much work for 6 people. But my daughter in law, Hillary, replied she thought it was important that the children have traditions. I smiled ear to ear at her reply. I’m with you! And traditions and memories of family times embedded with the smells of turkey roasting all day, of pumpkin and apple pies, cinnamon and sage last forever!